Peter Salerno Wins Best Bath, Signature Kitchens & Baths Magazine – Design Your Lifestyle. March 2014 March 2014 Peter Salerno, Inc.
Peter Salerno Inc. is experiencing a humbling and rewarding 2014 interior design awards season. First, we were honored with NKBA’s 2014 Best Small Kitchen award, as well as a Top 10 People’s Choice Award from HGTV for the same kitchen design. Now, Peter Salerno and his team have been honored by Signature Kitchens & Baths Magazine with their prestigious 2014 1st Place, Best Bath Design award. Frequent readers of this blog will remember this stunning bathroom design from Princeton, New Jersey, created from the inspirations Peter took from a visit to the French countryside. As was mentioned in the previous article about this gorgeous French-inspired bathroom, Peter Salerno and his team drew from various aspects of classic and contemporary French design. The light painted cabinetry was inspired by the Picardie region of France. Peter also chose the tile to reflect the kitchen’s custom stonework (a staple of design in Vence). 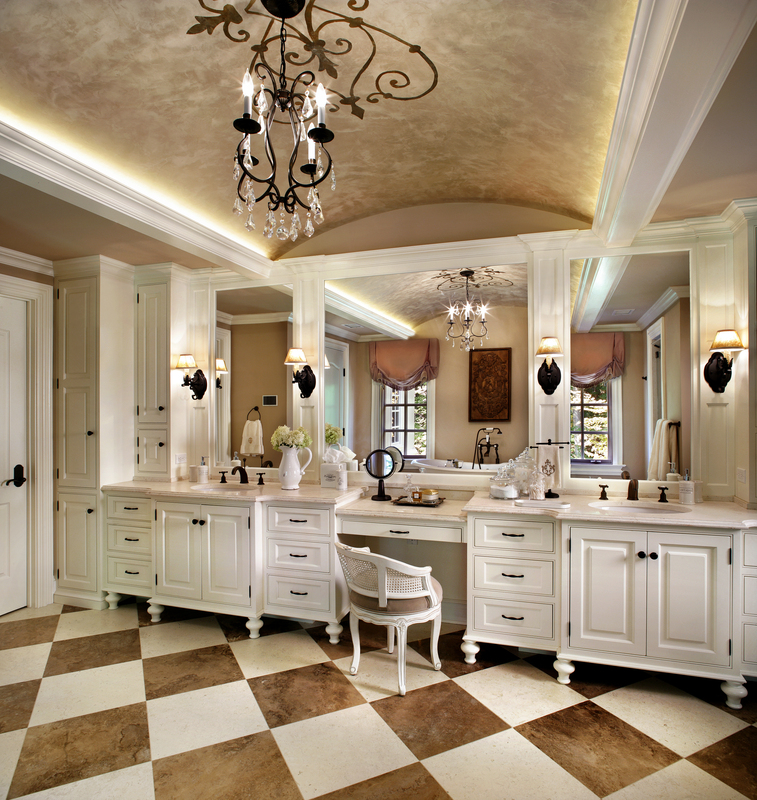 Alternate view of our French-inspired 1st place best bath design winner. Peter Salerno and the entire team at Peter Salerno Inc. in Wyckoff, NJ, are greatly appreciative of this 1st Place, Best Bath award from Signature Kitchens & Baths Magazine – and even more appreciative of the fantastic homeowners who get to enjoy this award-winning bathroom every day!